Kelly Lowe Glass is a single artist studio based out of Stoney Creek and Hamilton in Ontario, Canada. 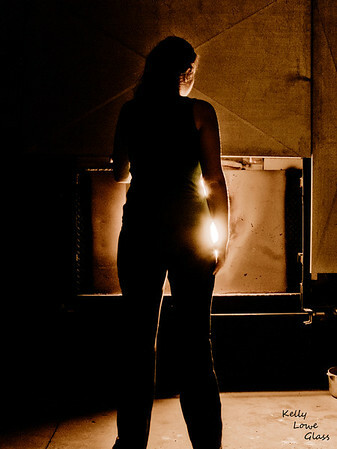 A professional glassblower for roughly thirteen years, Kelly’s passion and dedication to her craft has resulted in an approach that sees her creating pieces meant for occasions both great and small; from the awards presented at some of her country’s largest events to traditional blown glass ornaments for the family Christmas Tree. Regardless of its intended destination each piece receives her full attention, meaning each piece is individually handmade by Kelly herself to her extremely high standards. At times the phrase: “If it doesn’t reflect the best I can do, then I can’t sell it” seems like a personal mantra, repeated time and time again as she casts a critical eye on pieces before adding them to her gallery. Kelly’s glassblowing talent and the effort she puts forth on every job she works on has resulted in growing accolades in recent years: she was recently named the Arts Ambassador of the Year for 2012 by Tourism Hamilton (Hamilton is a city in Ontario of about 600000 people), was showcased last year on three separate television spots discussing her work, and was even the subject of a short film by Cineplex Entertainment, which was shown before feature films for the month of December 2011. 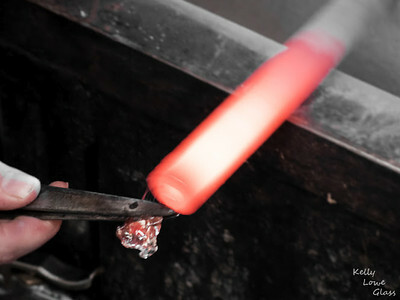 The film features Kelly as she demonstrates and narrates how she makes her traditional blown glass Christmas Balls, and was seen by an estimated 6.4 million moviegoers. 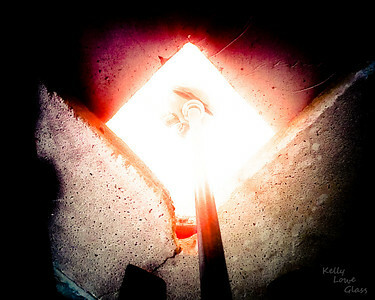 Kelly is also a member in good standing in organizations focused on the promotion of the arts, groups advocating for artists’ rights and health, and the promotion of the city of Hamilton and nearby Toronto as great places to do business and as having wonderful art scenes everyone should experience. As for this store: this store is meant to work in conjunction with the main Kelly Lowe Glass website and the physical studio gallery in Stoney Creek Ontario. The main site is full of information and photos, and includes a blog, maps to the studio, and all sorts of other stuff you might enjoy exploring. The main benefit to the main website is that the pictures can be blown up to extremely large sizes, allowing you to get a real close up view of each piece. The main site and the store have been integrated to make things easier for those searching for the best information: some links on the store will lead you to the main site, and if while you’re at the main site you ever wish to return to the store simply click on “Online Store” at the top of each page to return. 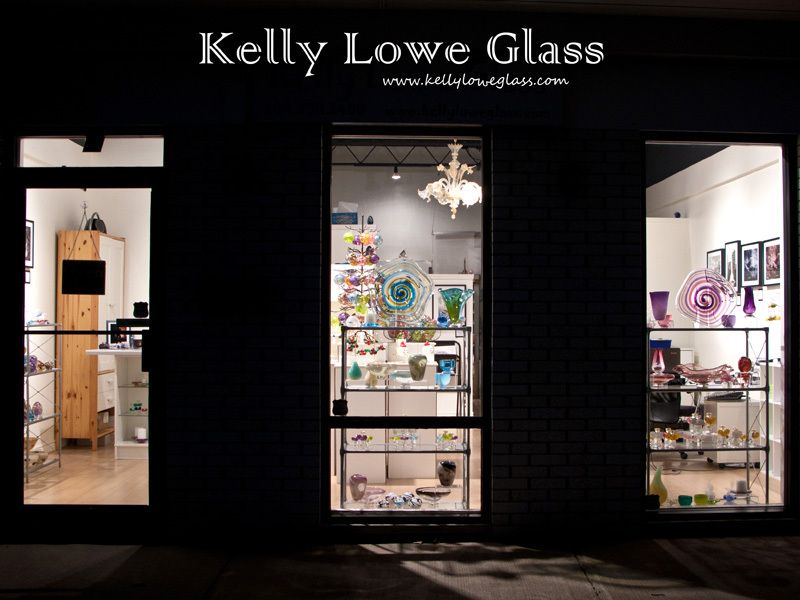 When it comes to Kelly Lowe Glass’ gallery in Stoney Creek, well that’s where all the glass is! For those of you who are local enough to drop by, whatever you see on this website is sitting in the store as well. As an extra incentive for those who choose to drop by the studio: not everything I make will be listed on the store. Some things would be prohibitively expensive to ship, due to their size and weight, and so unfortunately it just wouldn’t work. But if you come by you can see it all, so please... consider this your personal invitation. Enjoy your time shopping here at Kelly Lowe Glass, and please email kelly@kellyloweglass if you have any questions at all. Tuesday and Thursday, from 2:00-6:00, or upon request.